With the success of Nurse Practitioner 2018, we proudly announce the "26th World Nursing and Nurse Practitioner Conference" to be held during September 25-26, 2019 in Hong Kong Let us meet @ Nurse Practitioner 2019. 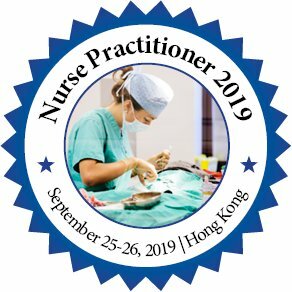 Nurse Practitioner 2019 | 26thWorld Nursing and Nurse Practitioner Conference during September 25-26, 2019 in Hong Kong. The upcoming conference will be organized around the theme “Innovations and Advancements in Nursing”. The Nurse Practitioner 2019 is a platform for nursing students, faculty, deans, researchers, and leaders to collaborate on topics affecting nursing education. Attendees can: Take advantage of opportunities to learn about Nurse Conference from a variety of oral and poster presentations. Meet and network with nurses ranging from students to deans, faculty, and researchers. Take advantage of opportunities to collaborate with nurses from around the world. Attend prominent plenary sessions about relevant issues affecting Nursing Care. Individuals around the globe concentrated on finding out about the Nurse Practice and its advances; this is a good opportunity to go to attend the Conference and achieve the biggest collection of members from the Medical Health sector. Let us meet @ Nurse Practitioner 2019.